Be a fashionably proud Filipina this March! On March 30, a collection of handwoven textiles turned into contemporary urban wear will be showcased on the GREAT Women Fashion Show happening at the Makati Shangri-La Manila. Since the 1990s, Makati Shangri-La, Manila’s Lobby Lounge has become a pioneer on fashion showcases. 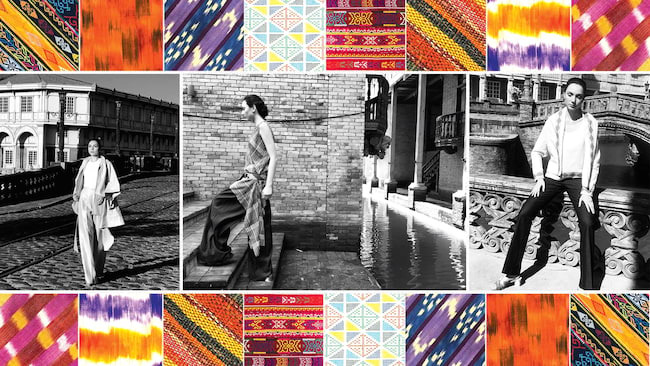 This time, the spotlight will turn to the Panay hablon and patadyong, habi of Camarines Sur and backstrap looms textiles from the people of Tagabawa, Bagobo, and Maranao, as they get transformed to suit the modern day taste of fashion. Filipino Afternoon Tea will also be served at the event, with ingredients made by women micro-entrepreneurs from ECHOstore Sustainable Lifestyle. For inquiries and reservations, call Restaurant Reservations at (632) 814 2580 or email rric.slm@shangri-la.com. You may also visit the Makati Shangri-La, Manila Facebook page. Makati Shangri-La, Manila is located at Ayala Avenue corner Makati Avenue, Makati, Metro Manila. For inquiries and reservations, call Restaurant Reservations at (632) 814 2580 or email rric.slm@shangri-la.com. You may also visit the Makati Shangri-La, Manila Facebook page.